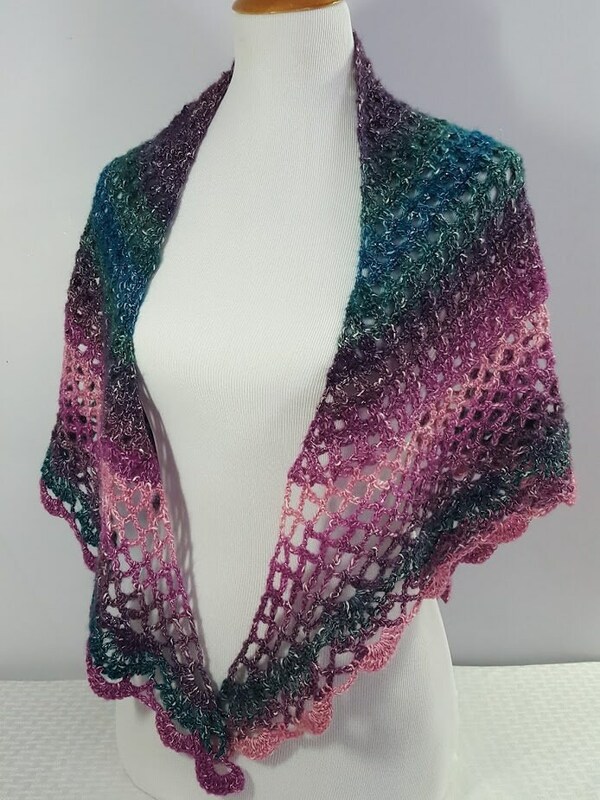 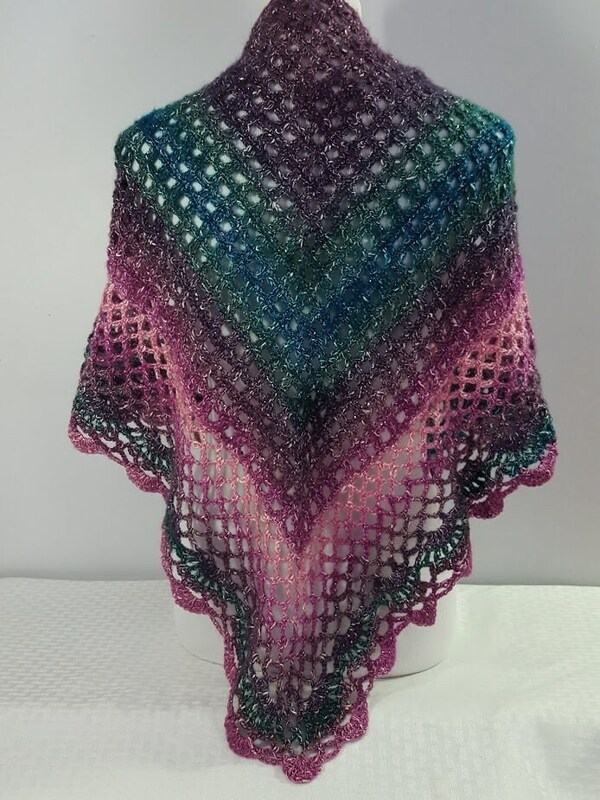 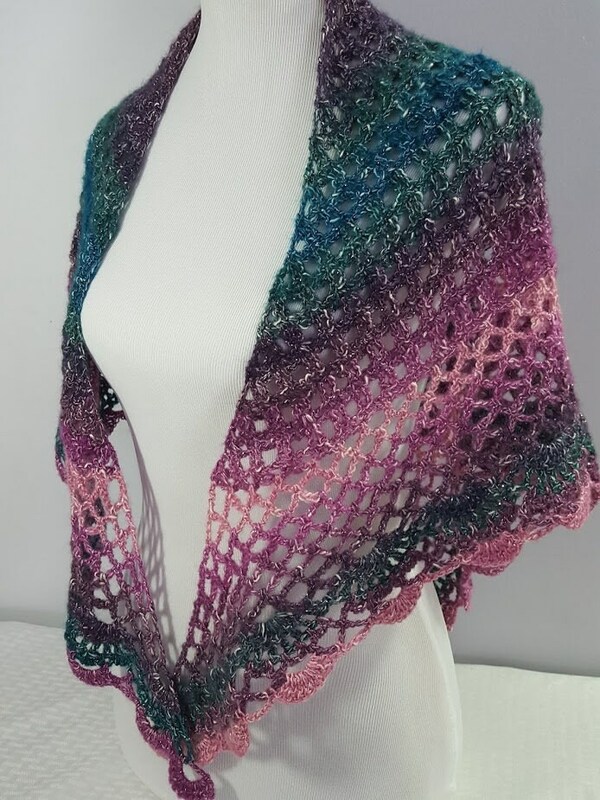 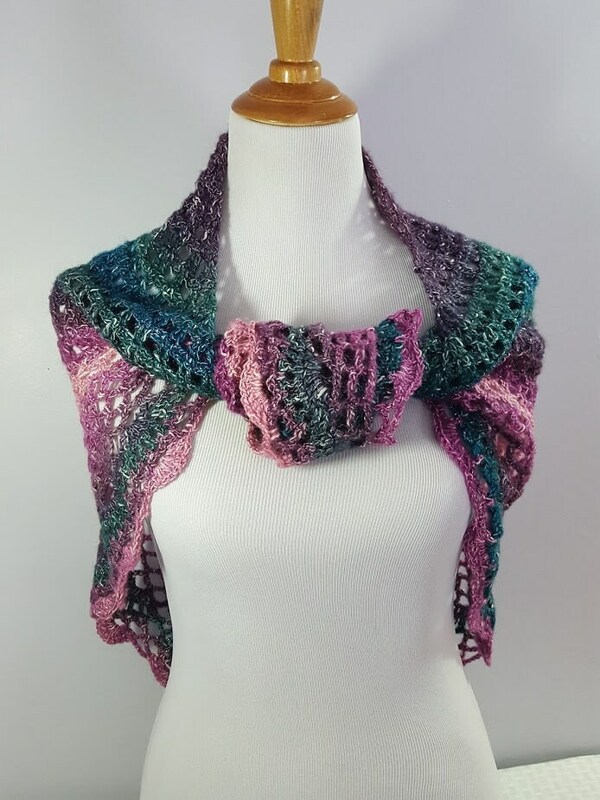 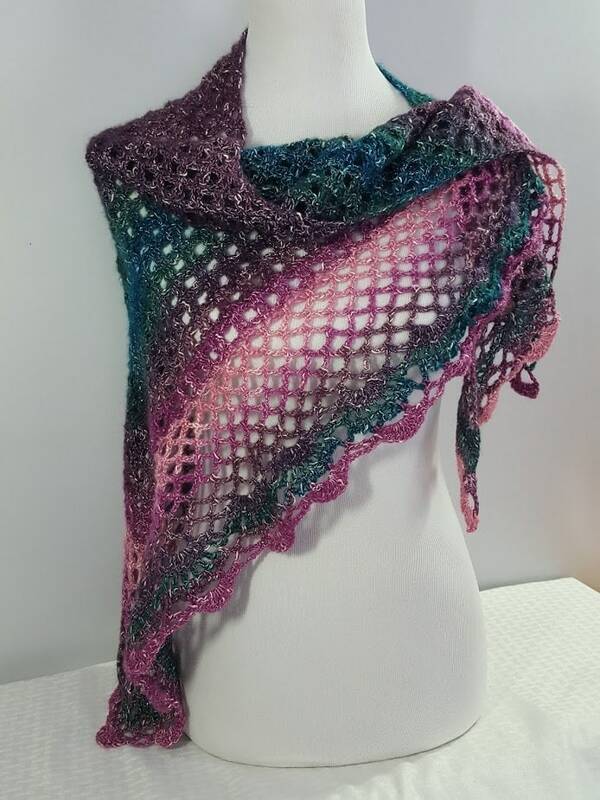 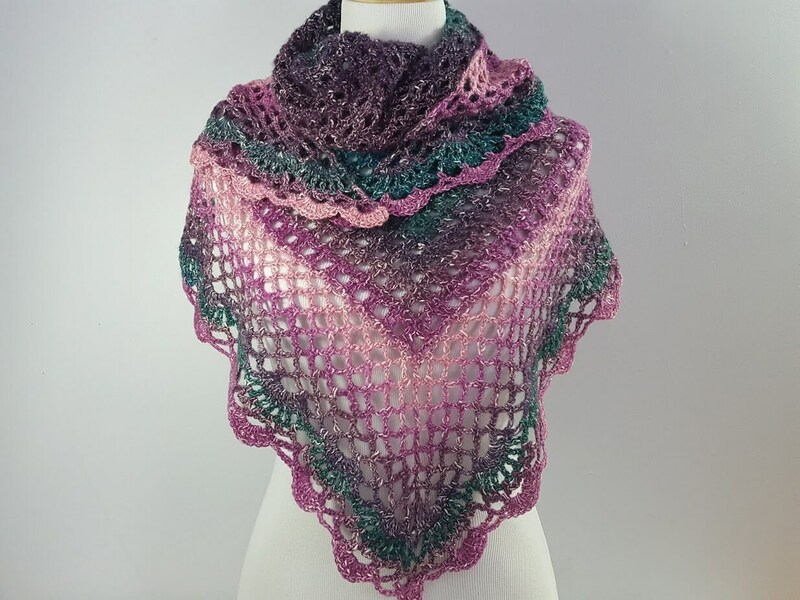 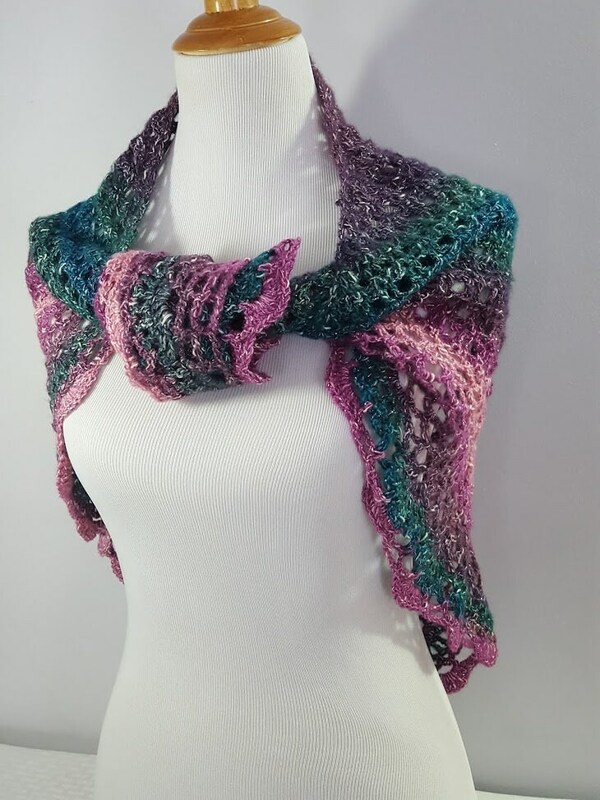 Introducing a beautiful crocheted lace shawl in gorgeous shimmering colors! 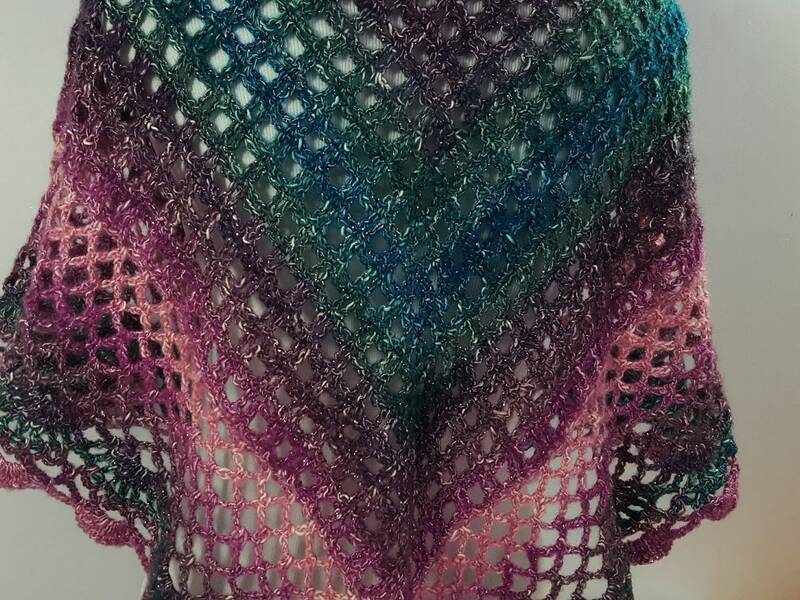 Showing off mixes of blues, pinks, greens, and shades of purple, can you imagine the possibilities? 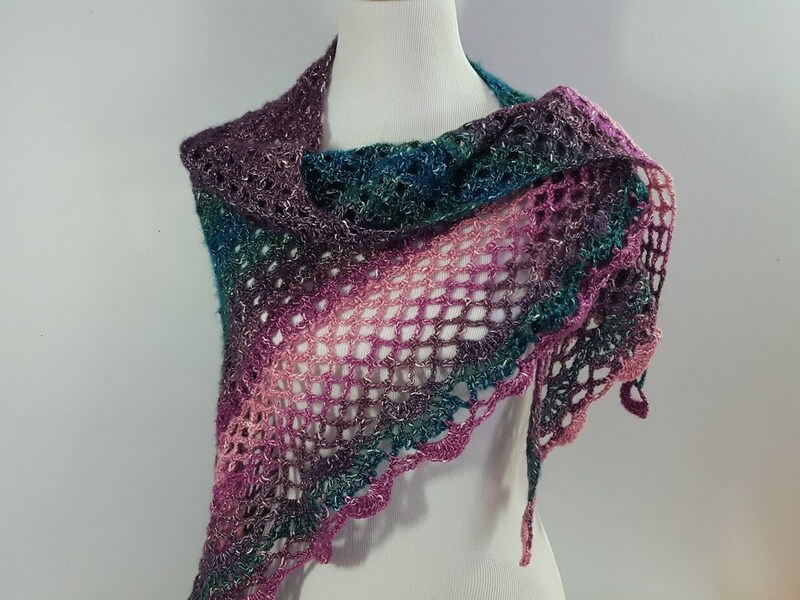 Wear over a white tee and jeans, pair with a summer sundress, or even as a sarong over your bathing suit at a beach wedding, there are so many ways to show off these lovely colors! 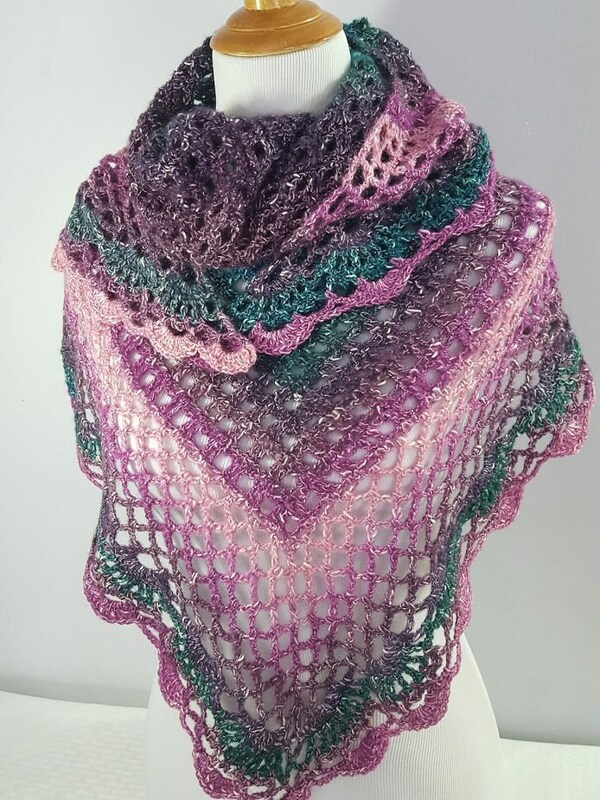 Hand-crocheted with a lovely openwork lace pattern with beautiful scallop edging and featherlight, the uses for this beautiful work is only limited by your imagination.